There’s always something happening at Blackrock to entertain you – from food and beverage specials to hotel offers, Newcastle’s best events and shows for the whole family. You’ve got to be here to feel it! 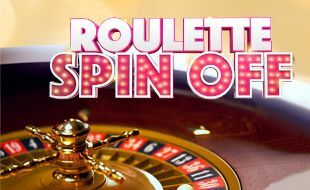 Stand a chance to win your share of R50,000 in Cash by taking part in our Roulette Spin Off Tournament. At the end of the 3 spins the chips value will be totalled and entries will be made onto the leader board if achieved. The top 6 highest scores from the Semi Finals and the automatic qualifier from the leader board will qualify for a place in the Final. Only persons over the age of 18 may participate. Any person who is currently refused entry to the casino or who is self-excluded prior to or during the tournament may not participate and will be disqualified. Any buy-ins for casino specific qualifying rounds not played prior to the closing date of the qualifying rounds will be forfeited. Entry to each heat of the tournament is by way of cash buy-in of R100 cash/ Value Chips/ 1000 Burn Points. Players may re-enter as many times as they wish by way of re-buys provided that the re-buys are for different heats. Each chip will represent an unredeemable rand value of R10 for purposes of determining winners and ranking of players. These chips have no cash value and it cannot be redeemed for value in any form, or used to place bets at live games. R10 table limits apply to all heats. R200 maximum on the number, R100 minimum on outside chances in multiples of R100, R5,000 maximum on even money chances and R2,500 on columns and dozens. No call bets will be accepted. Players play for themselves, monies may not be pooled or transferred to other players. All chips must be returned to the respective table float at the end of each heat / round. No Proxies will be allowed during the Qualifying rounds. Chips are to be kept on the Table in a visible manner at all times. Chip “winning” from one heat / round session will not be carried over. 100% of the money received from buy-ins will be distributed into the prize pool. Participants do not earn Rewards Programme points during tournament play. During the Qualifying rounds a reasonable period will be given for the placement of bets however during later stages, specific time periods may be applied. Tournament winnings won during each individual heat will be totalled and ranked to determine the top chip earners. Participants must bet during every spin. Registration and participation at the semi-finals and finals shall be in accordance with dates and times that will be advertised through the casino’s marketing mediums. Late registrations shall not be accepted. Should there be tied scores and there is a need for a spin off i.e. progressing to the next round or determining a position a Dealer will spin the Roulette ball in the wheel for the affected participants in alphabetical order of their surnames. The participant with the higher number (zero being a low number) will gain the higher position and the sequence will follow on respectively. The ranking order will be adjusted accordingly. In the event the same number is spun for more than one participant, the dealer will re-spin assigning the number spun alphabetically should there be a need. At the end of the qualifying period (Friday the 29th March 2019) the player with the highest chip winnings, from a single buy-in, will automatically qualify for a seat in the FINAL at Blackrock on 30 March 2019. Therefore, not having to compete in the Semi Final. In the event that a time limit to place bets is relevant, such bets must be placed within the time limit and may not be adjusted once the participants time limit has expired or they have indicated they have finished betting, when the rotational marker that is being utilised for betting sequence has moved on to the next participant. Where the applicable score was earned by the play of a Proxy, the proxy name will continue to be used until the spin/off is completed. Should participants wish to elect representatives through a proxy, they may elect representatives who may not be co-participants in any of the respective stages. The nominated representatives will be required to play without any coercion and/or input/strategy from the nominating participants concerned. Where utilized, the Master of Ceremonies will announce the start of each tournament session. Participants or proxies, where relevant, who are not present at the actual start of the respective session will forfeit their seats without any re-funds. The Master of Ceremonies will announce the allocated times, which may differ during the various stages of the tournament. Should a “NO SPIN” be declared by the Tournament Director whilst a rotational marker is being used, bets will not be changed and the ball will be re-spun. Whilst every reasonable effort will be taken to ensure the accurate recording of rankings/scores, the onus shall remain with participants to ensure that their rankings/scores are correct at all times. The casino reserves the right to make the necessary corrections as soon as it becomes aware of any founded discrepancies, which corrections could change the rankings/scores of participants and allocation of prizes. Tournament Director’s decision (or a Management Representative thereof) will be deemed as final and no correspondence will be entered into. Any dispute not resolved at the time of occurrence is to be escalated to the licensee’s Senior Management within forty-eight (48) hours of occurrence. 100% buy-ins will be returned in the form of prizes. In the event that the required number of buy-ins exceeds the target number, the additional prize monies will be distributed across the finalist prizes as deemed appropriate by the tournament director.